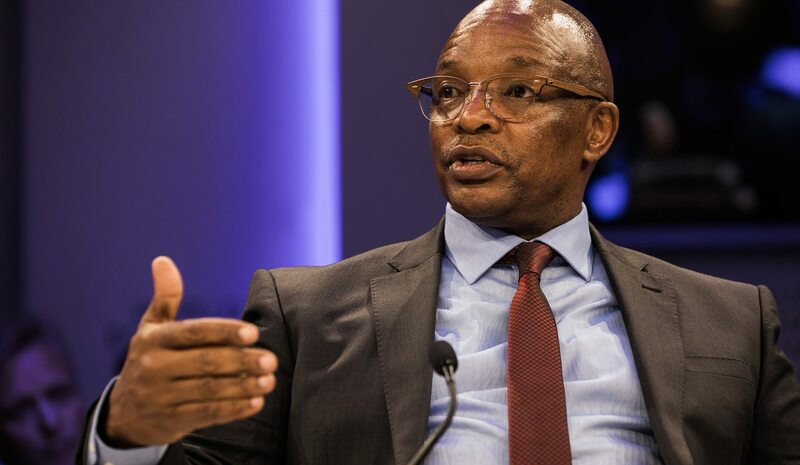 We are calling on South Africans to Save South Africa -- whatever it takes, SIPHO PITYANA told the Cape Town Press Club on February 2, 2017. Ladies and gentlemen, I would like to suggest we begin today’s gathering by observing a minute’s silence for the people who have now become known as “The Silent 94” – the 94 mental health patients who have died as a result of extreme negligence by our government. I must say that making speeches, at this time in our history, sometimes feels like something of a hollow act. There is nothing one could say to describe the horror and sheer neglect visited upon the most vulnerable in our society. What has been inflicted upon these defenceless people undermines our collective humanity. At a time when the psychiatric patients can no longer rely on their own government, the people’s government, to care for them properly, words fail me. How do you explain or analyse such a profound system failure to the families of the deceased? How do you explain to them why their government has failed to care for the most vulnerable in our society – and, when found out, obfuscates and plays politics? Words also fail me at a time when those who are completely dependent on social grants can no longer rely on their own government, the people’s government, to put a proper social safety net in place. How do you explain to single mothers and pensioners, for example, that the only way they can get their social grants in April is if the government renews a contract that was awarded under corrupt circumstances, and does so in defiance of a constitutional court judgment? Of course, our own President, Jacob Zuma, will not be short of words when it comes to delivering his State of the Nation address a week from today. He will have plenty to say. He will gloss over the mistakes he has made, he will ignore the rampant corruption and abuse that causes the current crises we face, and he will roll out another set of promises, replete with unintelligible numbers. Given the circumstance, we can expect it to be the most underwhelming State of the Nation Address in democratic South African history. After all, it will be delivered by the worst head of the post-apartheid state and the worst President the African National Congress has ever had. It will be delivered by a head of state with absolutely no respect for the Constitution of his own country — a head of state who disregards the courts and institutions of his own democracy, such as Parliament and Chapter 9 institutions. It will be delivered by a head of state who is the commander in chief of state corruption and who brazenly and daringly drives the agenda for state capture — a man who has neither honour nor integrity, and absolutely no sense of accountability. If it were not so tragic, it would be hilarious. But there is nothing to laugh about when it comes to Jacob Gedleyihlekisa Zuma, despite the name his parents gave him. Absolutely nothing. Each year, he climbs the podium in Parliament and promises us a better future that he has no intention to deliver — because he has no respect for the people of this country. He speaks of action that will lead to more jobs, improved education, health and safety and reduced poverty. He has five-point plans, nine priority areas, or whatever formulation takes his fancy. And without fail, every year, he paints a picture of a country that is making progress, and speaks of a government that has “a good story to tell”. The reality, however, is startlingly different. His leadership has set our country many years back on so many fronts. A simple analysis of previous SoNA speeches shows that Zuma is nothing more than a con-man and a dishonourable leader. After all, this is a president whom the Constitutional Court found to have broken his oath of office to uphold, promote and defend the Constitution. In his 2010 SoNA, for example, he promised to alleviate poverty, and lessen the gap of inequality. At the time, 20% of South Africans lived below the poverty line. Today, that figure has deteriorated to 21.5%. Inequality has also increased, and South Africa is now ranked as the second most “unequal” society in the world. The richest 20% of South Africa accounts for over 61% of consumption, while the bottom 20% account for 4.3% of consumption. In his 2011 SoNA, he promised that students from lower income households would be exempted from paying fees at Further Education and Training colleges, and that government would make higher education more accessible to the poor. I’m sure that six years later the #FeesMustFall movement has a clear response to that statement. In his 2013 SoNA, Zuma promised greater investment in maths and science education – yet the global index shows ours children are still ranked number 138 out of 140 countries. Other credible studies show we are one of the worst performers when it comes to maths for Grade 8 pupils, and the worst when it comes to science. Again in his 2013 SoNA, Zuma promised to alleviate youth unemployment, and promote economic growth. But the reality today is that official unemployment now stands at 26.7% — somewhat worse than 24.5% at the end of 2014 – and youth unemployment rose to 54.5% in 2016. Our national economic growth indicators for the past are floundering under the 1% mark. The economy of our collective neighbours in Sub-Saharan Africa are growing at around 4% for the past six years, while South Africa has averaged less than half that. An infrastructure-led growth strategy was intended to stem the tide of de-industrialisation and protect not only the manufacturing jobs, but also stimulate the economy. Instead, these jobs were externalised as contracts from Transnet, PRASA and Eskom went to suppliers in China, India and others with devastating consequences for the economy. The Public Protector’s state of capture report gives us a glimpse of how some of the jobs of South Africans were stolen through corruption. In his 2015 SoNA, one of the key elements of Zuma’s nine-point plan was the roll-out of water, sanitation and transport infrastructure to ignite growth and create jobs. But our reality shows little progress and in its place, a delayed water infrastructure development programme with declining water security. A thirsty nation has become even thirstier under Zuma’s watch. We could go on and on. To be honest, sometimes Zuma just feels like one big fake news website. But this is no laughing matter, and we would encourage journalists among you to do more work examining the gap between Zuma’s promises and Zuma’s delivery, or lack thereof. We need to really understand the truth and lies; the smoke and mirrors. We need to hold him accountable to his own promises, expose the broken ones, and ensure we understand the Real State of the Nation – not the sugar-coated one that Zuma is likely to present to Parliament next week. But we also need to fully examine the reasons why the Zuma administration has been such a complete failure. We need to understand why there is no money to improve schooling and higher education. We need to understand why there is no money to provide better health care, and pay decent salaries to the people who teach our children, protect our neighbourhoods, and care for us when we are sick. The answer is often, albeit not always, a simple one: Corruption. Corruption, under Zuma’s hand, has its hand at the throat of government service delivery. And it is getting tighter. It is getting tighter as the grip of state capture rips the soul out of state-owned companies, encourages gross financial mismanagement, and promotes unfettered looting. It is getting tighter as Zuma and his cronies line up the biggest tender-grab ever: the nuclear energy deal, which best epitomises the current phase of state capture. If you doubt me, or doubt the extent of corruption and looting, you should spend some time with SECTION27, one of the most vibrant and active members of the Save South Africa movement. They played a crucial role in exposing the scandals in the Gauteng Health Department and the Life Esidemeni atrocity, and are tirelessly working at the coalface of social justice in South Africa. And they have a shocking story to tell. SECTION27 will tell you – with hard facts – about the vicious circle that has developed because of corruption, and which threatens to disrupt our entire Constitutional framework. They will tell you how corruption not only enriches the crooks, but has also become the major factor that prevents the realisation of socio-economic rights – and therefore perpetuates inequality and the legacy of apartheid. They will tell you of billions of rands that are being siphoned from funds that are intended to supply text books to schools, pay for medical supplies in clinics, and to build decent housing for the homeless. And they will highlight the fact that South Africa spends 8.5 % of its GDP on health — but has outcomes much worse than similar middle income countries. And why South Africa spends the largest part of its budget on basic education — but is one of the worst performing countries in the world. Theirs are shocking stories. They are an indictment on everything South Africans fought for during our battles against colonialism and apartheid. Their stories are an embarrassment to South Africa’s oldest liberation movement, which once captured the world’s attention because of its commitment to social justice, economic justice, human rights and the dignity of the poor. No amount of rhetoric and sloganeering about radical economic transformation and the bogey of white monopoly capital will change this ugly reality. Those of you who follow the news will know that the Cabinet is holding a Lekgotla while we are meeting here today. In a true democracy, with responsive and responsible leadership, we would expect the Cabinet Lekgotla to focus on some of the fundamental problems that I have referred to today, and to come out with a solid set of solutions. Because they are not my problems, or your problems, they are South Africa’s problems. We are also aware that the President is presiding over another Lekgotla and South Africans have every reason to worry more about the outcome of its deliberations. It is the high command of the forces of state capture who are hard at work plotting their final push to seal the fate of our nation and the demise of our constitutional democratic order as we’ve come to know it. If the Cabinet Lekgotla is serious about acting as servant leaders, and not as the subordinates of the dark forces of capture, those present will put everything else aside and focus on the real challenges facing South Africans today – and address them with urgency, commitment and zeal. They will realize that they are governing the proverbial burning platform, that the enemy may not so much be White Monopoly Capital, and that the solution is certainly not empty talk about “radical economic transformation”. The shock of the reality that the President as our head of state, with a constitutional obligation to defend our sovereignty, is implicated in the most gruesome attempts to sell out our nation for financial benefit to himself, his family and his cronies as revealed in the Public Protector’s State of Capture Report. We demand firm and categorical assurances, even as the report is the subject of a legal review, that firm steps will be taken to defend and protect our sovereignty from those who are hell-bent on undermining it. Why, every year, does Jacob Zuma express a commitment to fight corruption – and yet he uses every opportunity to cripple the institutions that are meant to lead the fight in this regard? Why has he sent back to Parliament for further consideration, on the flimsiest of reasons, the Fica Amendment Bill after it was approved by his Cabinet and an ANC dominated Parliament? Why has he plunged the criminal justice institutions into a spectre of petty political infighting and intrigues? We demand he spells out what he’s going to do to restore the integrity and efficacy of these institutions. What is going to be done about the governance crisis, mismanagement and corruption in state owned entities, which has become a major destabilising factor in the economy? What is Zuma going to do this year to make good the promises he made last year to restructure these institutions? What does the Cabinet Lekgotla say about the fact that Zuma has promised radical economic transformation through a black industrialist programme — and yet the result is that the richest black person under his administration is now Ajay Gupta? How is it that the President’s best friend has been able to surpass Africans who previously claimed this spot in the past? What urgent plan and commitment is being put in place to restore the integrity of Sars? And, ultimately, what is going to be done to make sure that South Africa’s economic agenda is not just designed to serve Zuma’s personal interest, or those of his family members and his cronies? This, ladies and gentleman, is what the Cabinet Lekgotla should really be addressing this week. And it should form the core of next week’s State of the Nation Address, if Zuma is in any way serious about saving South Africa. Sadly, this will probably not be the case when Zuma addresses Parliament on February 9 – assuming an opposition party lets him do so. So, as Save South Africa, we have taken the initiative to convene a People’s Assembly next week, the Real State of the Nation address, to present the truth about the Zuma administration, and the truth about South Africa. It will be held at St George’s Cathedral from 11am on Wednesday, and will be the second People’s Assembly organised by our campaign, following the Peoples’ Assembly against State Capture held in Pretoria on November 2 last year. We are positioning this as the real “state of the nation” address, and we are mobilising civil society to attend in their numbers. We expect young people to play a crucial role in shaping this event, and we will be enabling South Africans to tell their own story, to present their own State of the Nation Address – not the hollow, mythical one presented by Jacob Zuma. Despite the fact that Zuma has indicated he will not be seeking another term in office as ANC President, the Save South Africa campaign is totally committed to spending this year highlighting the damage he causes to the country — and to the ANC. We intend to continue promoting a sense of activism among ordinary people, and building institutional capacity for active citizenship at all levels of governance to ensure accountability of leadership. Most importantly, we are campaigning to ensure the country has leadership that makes decisions in the interest of the country. This means empowering South Africans to understand and use the powers they possess through the Constitution in pushing for accountability and honest use of public power and authority – with a specific focus on principled leadership in the country. This means looking closely and campaigning around issues such as governance, codes of conduct, integrity, constitutionalism, national values, restoring our international reputation and restoring the relationship of trust between the state and the people. A failure to address this, we believe, will result in increasing socio-political and economic instability, unrest and protest, and a further fraying of our social fabric. It will also put an end to any hope of meaningful sustainable economic transformation. It will, in essence be a disaster to make the same mistake twice. Another Zuma or Zuma acolyte will be a disaster. We believe we have already made a significant contribution to the isolation of Zuma, and that forces such as the ANC Stalwarts, the MK National Council and members of the ANC NEC, and the Alliance, have gathered strength from the determination and support shown by civil society. We’ve created a legitimate and principled voice with moral authority — yet one that is not oppositional. This programme of isolation will continue, and we will continue to mobilise civil society to persuade the ANC to realize that JZ is no longer Number One – rather, he is the Number One Problem. We believe we must make 2017 a year of change and hope, and take big strides towards the South Africa we all fought for, many sacrificed so much for, some died for, and many continue to work towards. The struggles of those campaigning for equal education coincide with those campaigning for better health care. Those campaigning against the pending nuclear deal have a lot in common with those campaigning against state capture and corruption. Those working for a non-sexist, non-racial society have a lot in common with those promoting civic activism. Ultimately, we are calling on all South Africans to claim their rights as citizens and stand against corruption and impunity. We are calling on citizens to find their voices again, to begin to craft the kind of South Africa we can be proud of, and to speak openly about the attributes we want in our leaders. Sipho Pityana is convenor of the Save South Africa movement.